Struggling to get information to your employees and wish there was a way to improve communication across your whole workforce? Download this eBooks for 7 practical tips to reach your people where they are. Your employee engagement hub is one of the primary tools you’ll use to share company information and to communicate with your employees. And if you don’t keep it updated regularly, employees will quickly learn that you’ve got nothing new to say and they’ll stop visiting. It’s a scenario we hate to see happen, and part of my role is to help our clients avoid by providing tools and strategies to achieve continual engagement. Your core values define who you are and set the tone for how employees engage with the organisation. By including feedback in your values, you’ll empower employees to share their thoughts and concerns with you. At Reward Gateway, one of our company values is “Speak Up.” We encourage our employees to speak their minds and they respond with smart questions, insightful viewpoints and welcome feedback – which all leads to great content ideas for our hub. Now that you’ve empowered your employees to Speak Up, it’s essential that you provide spaces for them to do so. And most importantly, make it clear that what they say isn’t going to be ignored. 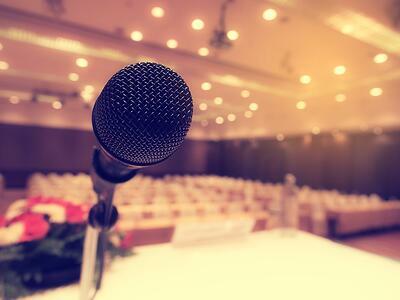 One of the best ways to do that is to answer questions and address feedback at an all-staff or all-hands meeting. Our CEO recently flew to Australia and had hosted an open floor Q&A session with the whole team. When the leadership team isn't traveling, employees can also submit questions through our internal communications platform we call boom!. and depending on who the question is addressed to, the answer is either published on the platform blog via video or blog post. 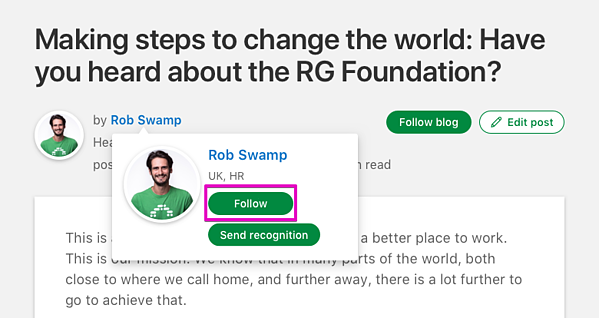 We recently launched a feature that allows employees to "follow" specific blogs, people, or tags, so that they receive an on-site or browser notification whenever new activity that they're following happens on the platform. This is a fantastic way to keep employees in the loop for important, department- or role-specific news that is relevant to them. 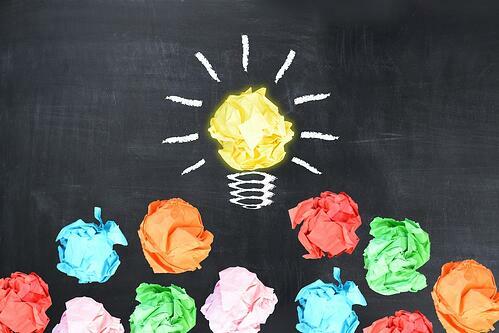 Another great way to get feedback and tap your workforce for content ideas is with surveys and polls that you host on your employee engagement platform. Again, look for trends. Any topic that two or more people are asking about is one you should create content addressing and publish on your hub. Before long, you will have filled it with relevant content that your employees are engaged with. 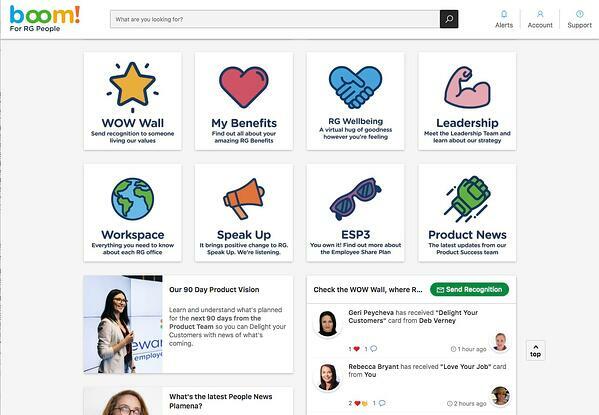 Cat calls Glassdoor a “gold mine” for content ideas. At Glassdoor, former and current employees write reviews of your company that are anonymous, so much of the feedback is candid and may provide input you can’t get anywhere else. 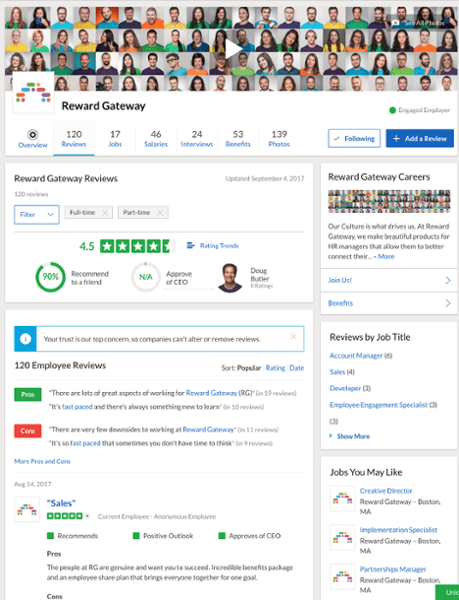 You should check Glassdoor regularly for reviews of your organisation, pick out trends and use them to generate content for your employee engagement hub. As Head of Client Success it goes without saying Dillon is client and solutions focussed. He is always looking for the best way to service clients and is committed to leading a team that is supportive and collaborative, which means we can lean on each other and play to each others strengths and give all our clients amazing service and support to ensure their programs succeed.